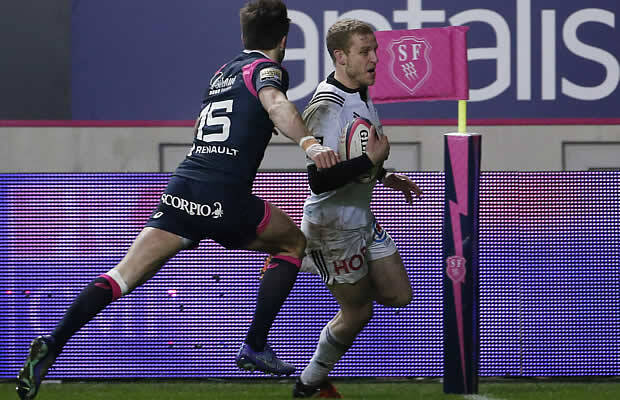 Top 14 French champions Stade Francais kept their chances of retaining their Top 14 title by beating Brive 32-17 on Friday. Stade made a terrible start to the Top14 season and before the match were down in 11th place having won just five of their 13 matches played so far. However the victory over Brive who are in the last play off space means that the Parisian club can still make the play offs. The result is a double bonus for Stade as their realistic target is to finish above Brive. They still have it all to do though as they trail by 10 points and have 12 matches to play. The gravity of their situation was reflected in coach Gonzalo Quesada’s team selection, and it was the influence of a number of internationals, such as Italy captain Sergio Parisse and France’s Rabah Slimani, Jonathan Danty and Jules Plisson, that ultimately allowed the champions to prevail, having trailed 12-6 at half-time. The action was slow to get going at the Stade Jean-Bouin as 1997 European champions Brive proved tough competitors and twice took the lead through a Gaetan Germain penalty, with South Africa international Morne Steyn replying for Stade in between. 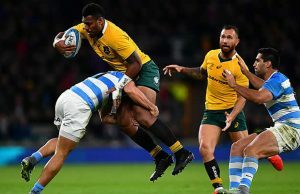 The hosts were struggling to get anywhere near Brive’s 22 and Stade’s task became even tougher when Samoan prop Sakaria Taulafo was sent to the sin-bin for dangerous rucking. Almost immediately, Brive seemed to have capitalised as Georgian prop Karlen Asieshvili plunged over the line after the visiting pack had made ground on a driving maul. But referee Alexandre Ruiz decided to take a look at the television replay and spotted a slight knock-on by Asieshvili as he went to grab the ball. It didn’t take long for Brive to extend their advantage, though, as Germain notched his third penalty from three attempts. Just before half-time, Brive blew another golden scoring opportunity as Sevanaia Galala somehow knocked on just 10 yards from the line after being put clean through by Alfi Mafi, who had broken the gainline, and was seemingly set to score under the posts. Brive forced a penalty from the resulting scrum against the head and Germain punished Stade again. But just before the break, the hosts recovered their kick-off and earnt a penalty themselves that Steyn converted. Stade started to bring on their big-gun internationals in the second period and soon got on the scoreboard as Steyn added a third penalty before Germain missed his first. But a break down the right from Australian Mafi helped set up the opening try of the match. Brive spread the ball to the left where they had an overlap. Galala tried to play a miss-pass but Stade wing Jeremy Sinzelle was in the way. However, he dropped the ball and Guillaume Namy picked it up off the bounce to run down the left touchline to score in the corner. 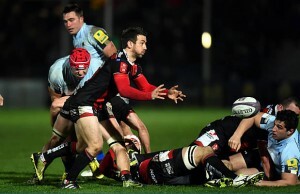 Even so, the tide had turned and Stade were dominating. A strong break down the left resulted in Brive No.8 Fabien Sanconnie being sin-binned for preventing the ball from coming out at a ruck, and Stade opted for the scrum close to the posts. It proved a wise move as Djibril Camara exploited space wide out left to score in the corner from Fijian centre Waisea Nayacalevu’s pass. Parisse made the initial break on 63 minutes for Stade to play the ball through the hands out to right wing Sinzelle to score in his corner, making up for his earlier mistake. The pressure proved too much for Brive and Namy was yellow-carded before Steyn and then Plisson both knocked over penalties. Danty had the final word with a try four minutes from time but Stade came up short in their bid for a bonus point.